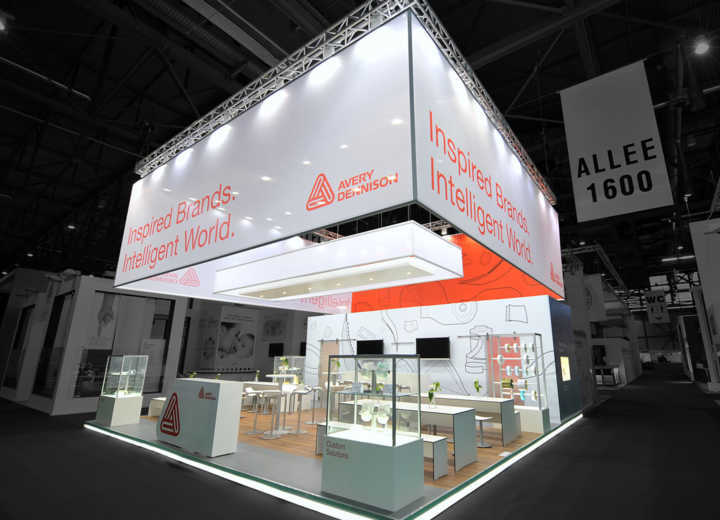 Avery Dennison exhibited in a 50x75 booth at LabelExpo. The booth had a clean and colorful open floor plan, with a lot of high tech components to emphasize the “Power Up” theme! 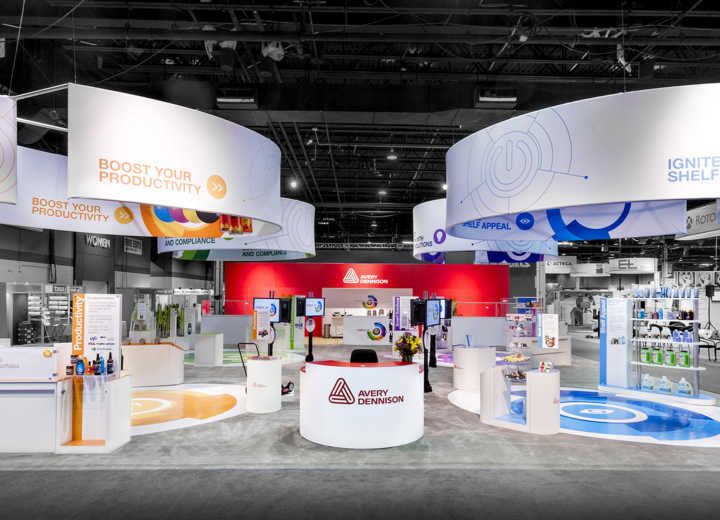 Avery Dennison’s 50×75 Label Expo booth had a clean and colorful open floor plan, with a lot of high tech components to emphasize the “Power Up” theme! There were interactive touch screen monitors in the center allowed attendees to simply touch for information, and have more detailed information sent directly to their email. This was conducted via HyperLeads, a proprietary lead management software by The Rogers Company. 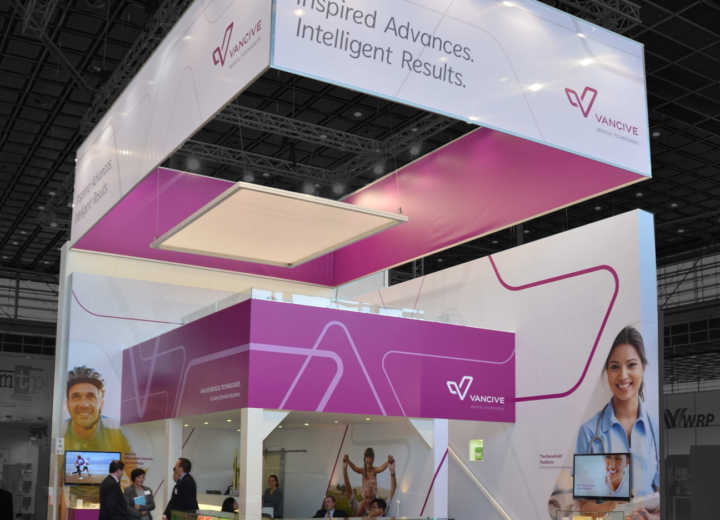 The booth featured four, 48’ panels of printed fabric shaped into custom, double-sided, 5’ tall oval hanging signs and custom vinyl floor inlays. 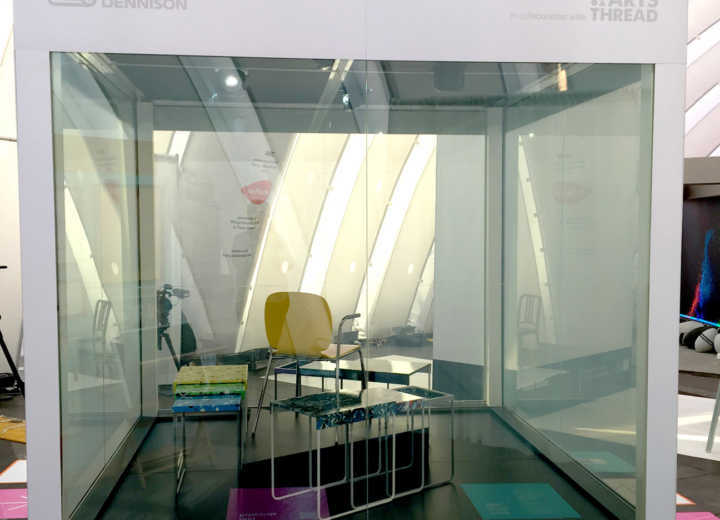 Avery Dennsion exhibited in a 9m x 9m booth at the INDEX Show in Geneva, Switzerland. 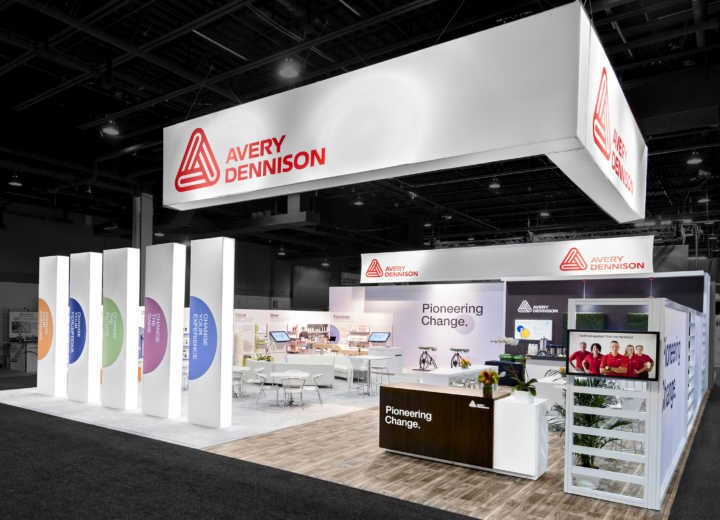 Avery Dennison debuted their new 50x50 booth at LabelExpo. 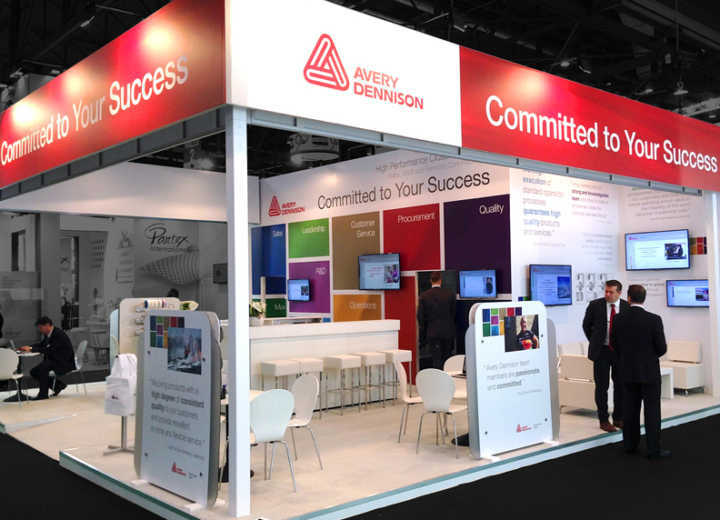 Avery Dennison exhibited in Geneva, Switzerland in a 9m x 9m booth at the INDEX show.